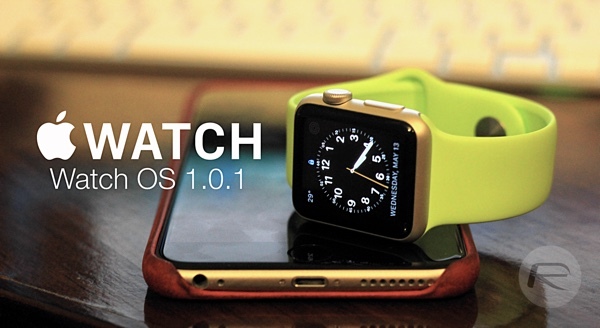 Apple has released first ever Apple Watch software update, Watch OS 1.0.1, for download. Changelog, new features and how-to download info is detailed below. The update is currently filtering its way through the digital airwaves to the wrists of all Apple Watch owners and it takes the internal firmware to version 1.0.1. 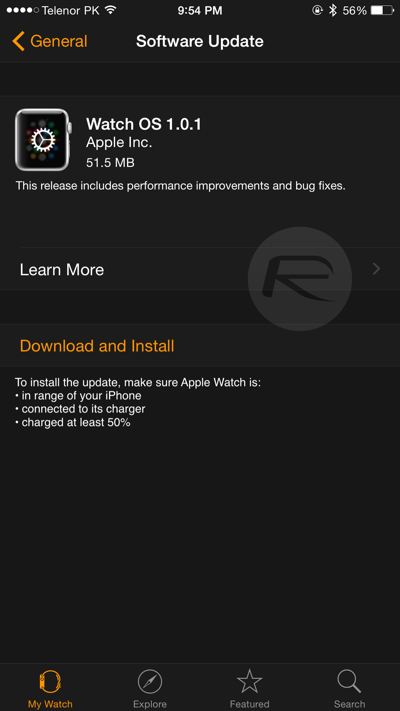 The update weighs in at a reasonable 51.6 MB according to the accompanying changelog and can be installed directly through the Apple Watch companion app on the iPhone. Display support for all new 300+ emoji characters with different skin tones that were recently introduced into iOS and OS X is also added. 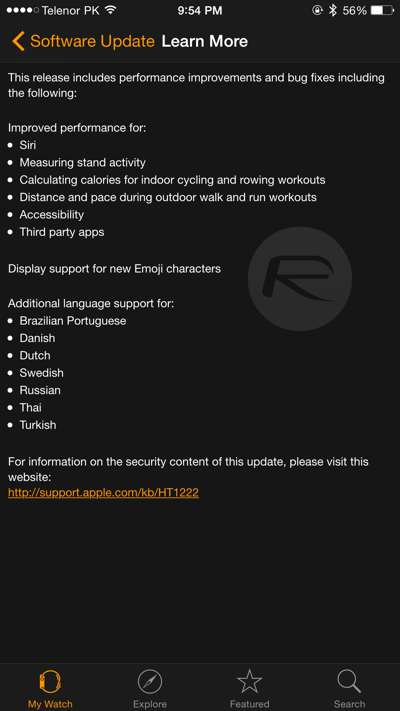 In an effort to make the Apple Watch more accessible to different regions, there is also included support for new languages: Brazilian Portuguese, Danish, Dutch, Swedish, Russian, Thai and Turkish. Before updating your Apple Watch, make sure it is in range of your iPhone, connected to the charger and is at least 50% charged. To update your Watch: On iPhone, navigate to Apple Watch app -> My Watch -> General -> Software Update. Tap on Download and Install and you’re done! It’s great to see Apple capitalizing on the initial excitement of the Apple Watch by listening to feedback, understanding what needs to be fixed and issuing timely improvements directly to the wrist of Apple Watch owners. Long may it continue. Looking forward to the updated stand calculation, this has been frustrating at times.